On a clear and moonless night, Stars at Yerkes invited teachers to an evening of exploring constellation photography. Our newest contributor, Janet Branson, showed us just what a camera can capture over time. 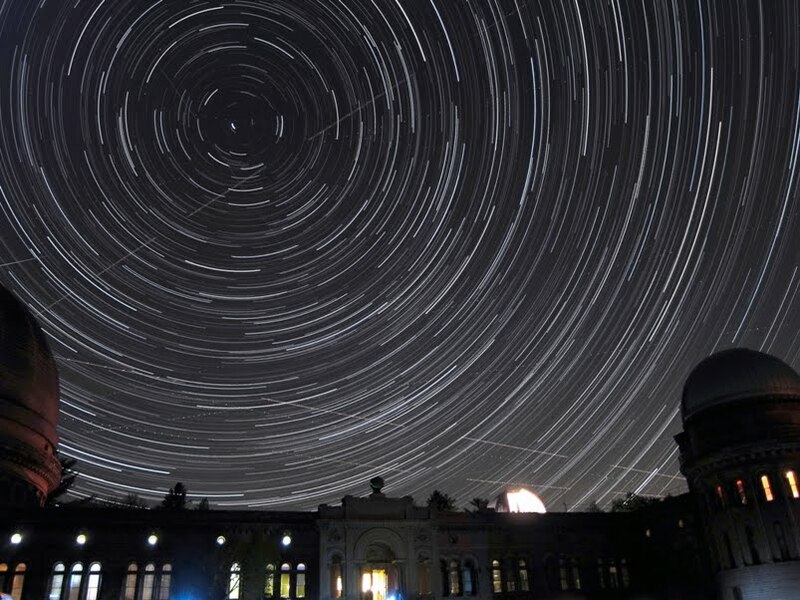 Viewed from Yerkes South Lawn, the star trails swirling around Polaris were intersected by several aircraft.